Let us be the first to get this out of the way. It’s too early to be bandering around the C word, so we’ll use the term ‘festive giftbuying’ instead. In an effort to be helpful to the cigar loving population, what follows is a few thoughts on how to let your loved ones know what you might appreciate as a smoky surprise this festive season. It could also be used as a good gift buying guide for a fellow cigar lover; either way, it’s meant to inform and enlighten and hopefully avoid any embarrassing pitfalls. 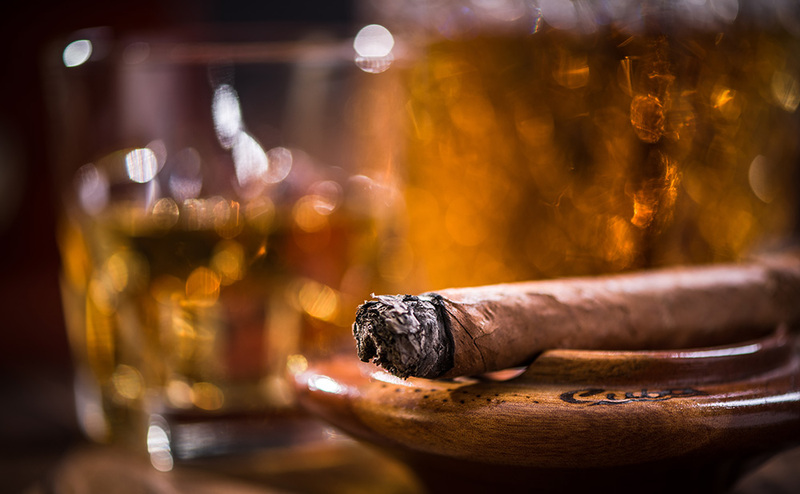 It doesn’t matter how many you’ve smoked or for how long – the gift of a favourite cigar, or even a box, is a delight unalloyed by the passing of time. A lover of the leaf still gets that boyish (or girlish) flutter in the stomach on opening a new box of Havanas. It’s simply an ethereal experience once tasted, never forgotten. So, don’t think for one minute that a gift of fine cigars is one that’s not appreciated. You will be instantly promoted to favourite present giver. But what to choose if you don’t know your target’s exact preferences? Here, it’s better to err on the side of caution. Opt for something no stronger than medium to full. Even a hardened Bolivar boulvardier can get immense pleasure out of a light and fragrant Hoyo de Monterrey Epicure No.2. But give an Epi 2 smoker a Boli Belicosos and he or she may not be able to cope with its raw power. So be gentle. Choose contemplative, sensitively blended smokes; the Hoyos, the El Rey Del Mundo Choix Supreme; the Rafael Gonzalez Petit Corona; a Por Larranaga Montecarlo. If a great box of cigars is beyond your budget, you can still make a cigar man or woman very happy this year. Accessories are coveted; one can never have too many funky lighters, innovative cutters and tasteful works of art to store your precious smokes in. A Dupont cigar cutter is a thing of beauty and will become a much-loved companion. Or how about the cool table top multi-choice cutter that El Jeffe himself uses in all his Sautter Cigar videos? Be picky when it comes to lighters; many have answered the call – not many have passed the first test of a puff of wind or of lighting multiple stogies day after day. You’ll need something reliable and sturdy; something no more than medium weight, so you can slip it into your jacket pocket; and something that will carry a reasonable amount of fuel so that it won’t putter to an asthmatic stop after sparking up a corona or two. As always, the staff at Sautter are ready, willing and very able to assist with advice and helpful suggestions. Everything you buy in store will have been personally tested for quality and effectiveness by El Jeffe himself and backed by a no quibble guarantee. Rest assured that you’ll be buying the best and let your cigar present do the rest. It’ll be the gift that’ll keep on giving throughout 2019.